When a drug 100 times more potent than heroin is getting processed in the kitchen blenders of clandestine labs — it's a recipe for deadly overdoses. 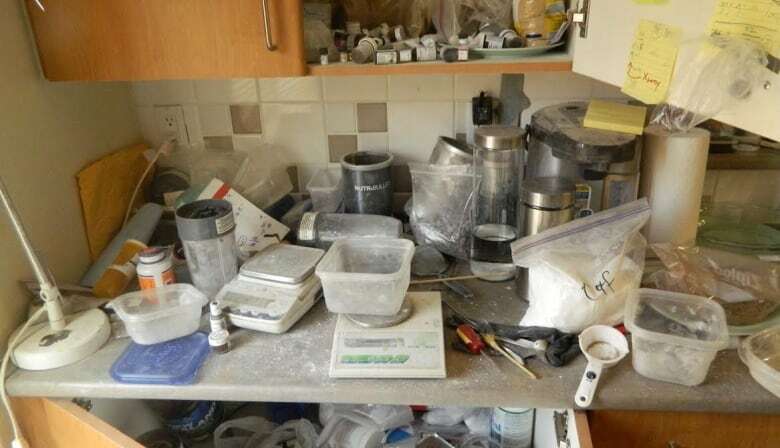 If one picture could explain why people are overdosing on "the tiniest bit" of fentanyl, it might be this filthy kitchen in Burnaby, B.C. Fentanyl is a drug that's 100 times more potent than heroin, and a dose the size of a grain of sand can kill. When it's prescribed by a doctor, it's measured by the millionth of a gram. But the fentanyl sold on the streets is cut in places like this clandestine drug lab, busted by police last May. The counter, and the scales, are dusted with white powder. The recipes are on sticky notes. And the laboratory equipment for diluting this potent opioid? 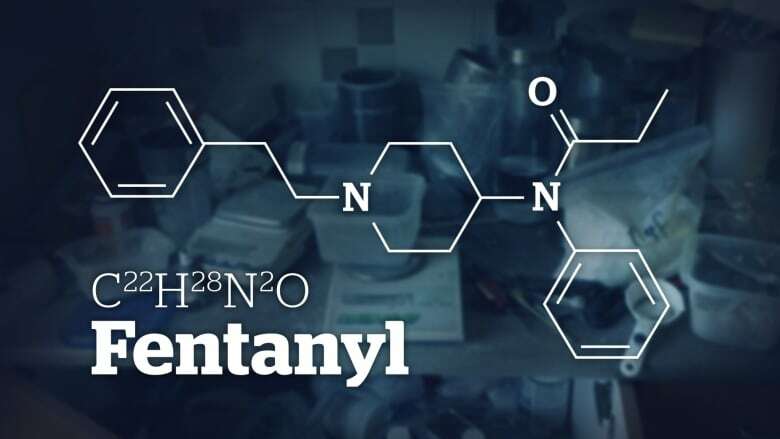 "Let's not kid ourselves that the dilution is happening in a professional chem lab," said Crown counsel Oren Bick at the recent sentencing of a high-level fentanyl dealer. "It's happening in someone's kitchen or basement." The drug's potent punch per smuggled brick is exactly why dealers like fentanyl, Bick argued in court. But it's also a key reason why people are dying. Fentanyl's strength means it's easy for people to take much more than they think they are, said Dr. Gabor Maté, a retired physician who worked in Vancouver's Downtown Eastside and now teaches and lectures on addiction. He has used fentanyl on patients for pain relief in palliative care. Therapeutically, it's often delivered by IV or a slow-release patch but still in very small quantities. "... whereas the doses of morphine we measure in milligrams ... the doses of fentanyl we measure in micrograms, which is one millionth of a gram," he said. A typical pill you might take for a headache — ibuprofen — is 400 milligrams. Try cutting that pill in 400 pieces. Each is a milligram. To get a microgram, that same pill would have to be cut into 400,000 pieces. On that scale, it's very easy for someone using fentanyl to take too much and very difficult for traffickers diluting the drug to be precise with their product. "There's very little margin of error. It's much easier to overdose on it," said Maté. To be clear, when fentanyl's potency is called "100 times" that of morphine or heroin — that's not a measure of how high someone using the drug will get. 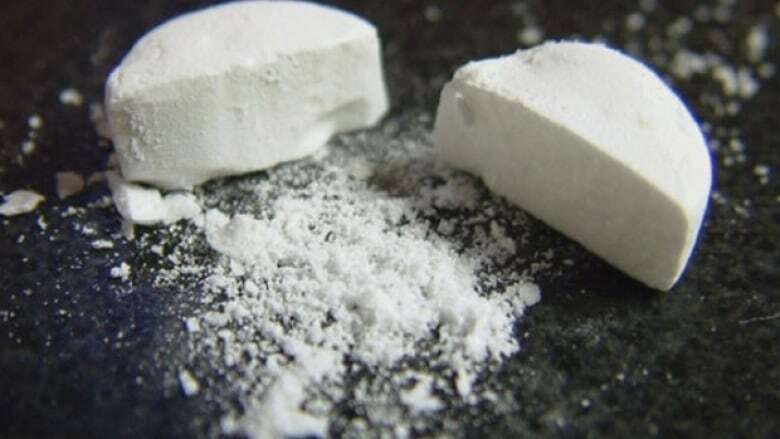 It means that a dose of fentanyl could be 100 times smaller than a dose of heroin and have the same effect on the user, said Dr. Evan Wood, director of addiction services at Vancouver Coastal Health and a professor of medicine at the University of B.C. That's math that benefits the dealer. "Clinically, we aren't seeing that the majority of people who use fentanyl are looking for fentanyl," said Wood. "They're trying to get morphine or hydromorphone ... they're trying to get heroin. "But the dealers know that." So, dealers will market a powder on the street corner, blended in some kitchen or basement, that they call heroin but includes fentanyl. 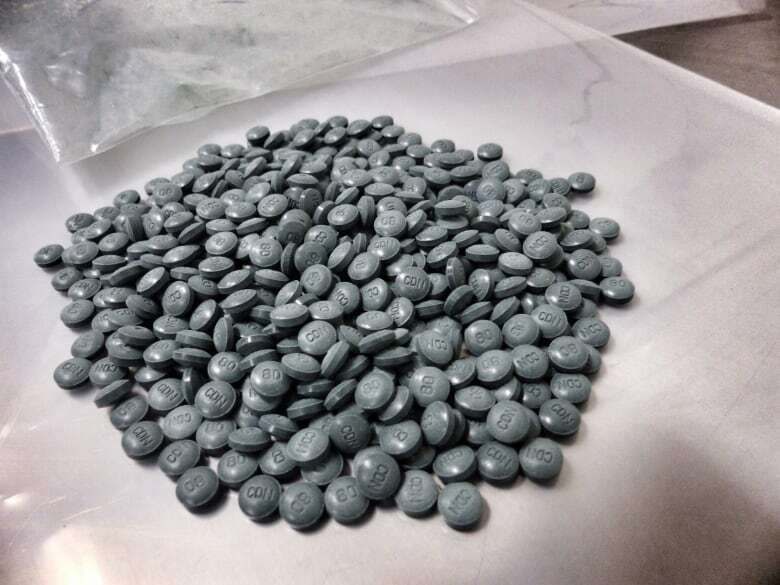 "Fentanyl is an absolute money maker for drug traffickers and that is entirely because of its potency," said lawyer Bick when he made his case against a fentanyl dealer in provincial court this month. "It can be bought for $7,000 a kilogram in China and diluted 100 times to make several million doses of street heroin or fake OxyContin." Compared to last year, the percentage of illicit drug deaths in B.C. 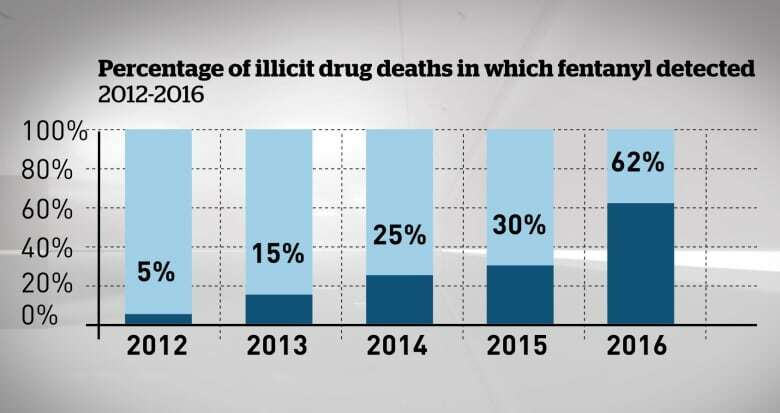 where fentantyl was involved has more than doubled this year so far — showing the steep rise in fentanyl's presence on the streets. Fentanyl triggers the same reward pathway of pleasure and pain release as other opioids, said Drs. Wood and Maté. Whether its withdrawal is any different is unclear. 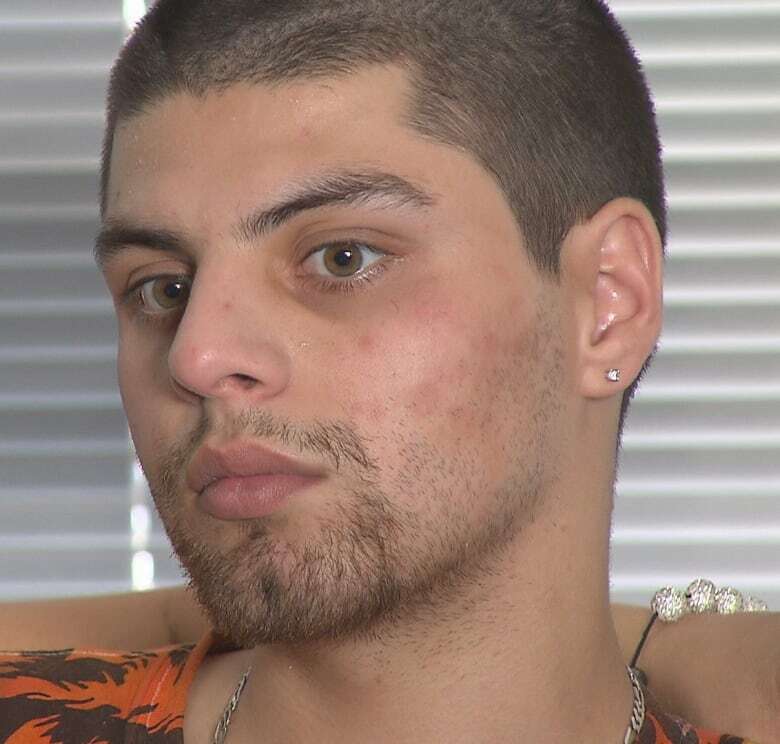 One young man addicted to fentanyl told CBC Reporter Natalie Clancy that his dope sick, skin-on-fire withdrawal from fentanyl was 10 times worse than heroin. But because the drug is so new, there isn't empirical research to show fentanyl withdrawal is any worse, said Wood. However, fentanyl does act more quickly than other opioids, making it fit the profile of drugs that are very difficult to stop using, he said. "We know that drugs that are very fast on and very fast off ... [like] crack cocaine ... can be extremely habit forming and can lead to a very strong withdrawal phenomenon," said Wood. Whereas the effects of heroin could be measured in hours, for fentanyl it's minutes — a high some users crave. "The hit is so powerful ... if it gives you pleasure, it gives it to you very quickly," said Maté. "Because it doesn't last for that long in the system, you also want to use it again." 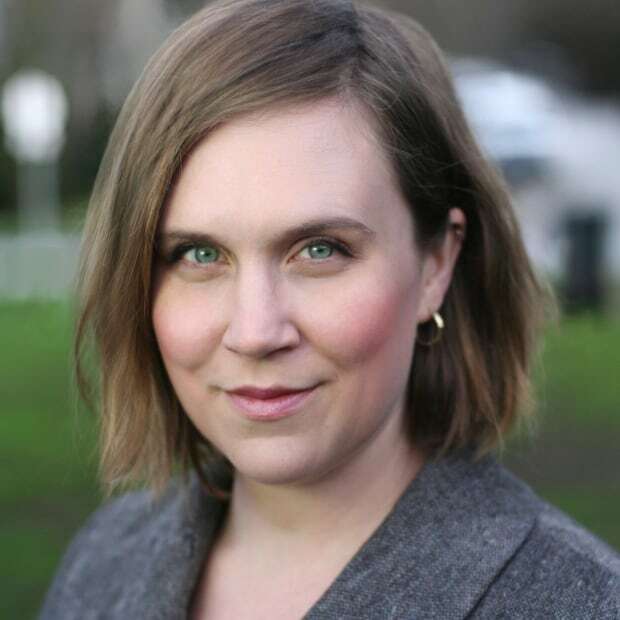 Lisa Johnson is a reporter for CBC News in Vancouver, covering news around the province with a specialty in science, nature, and making sense of complicated things. Before becoming a journalist she pipetted DNA and watched fish mating dances en route to a degree in evolutionary ecology.